Holland America Line is expanding its Mexico service with the deployment of ms Oosterdam from September 2017 out of San Diego. If you’re a fan of Holland America Line and looking for more cruises to Mexico then your wish has come true. The cruise line is deploying ms Oosterdam to San Diego where the vessel will sail Mexican itineraries. The Vista-class ship will be joining ms Westerdam on round trip cruises. Ms Oosterdam and ms Westerdam will be based from San Diego, California with Oosterdam beginning its new deployment in September 2017 through February 2018. Both ships will be calling at Cabo San Lucas, Mazatlán and Puerto Vallarta. To kick off the season, Oosterdam departs on Sept. 30 with two back-to-back seven-day sailings. Westerdam departs Nov. 24, 2017, on the first of two seven-day Mexican Riviera cruises. The ship’s other cruise departs Dec. 1. 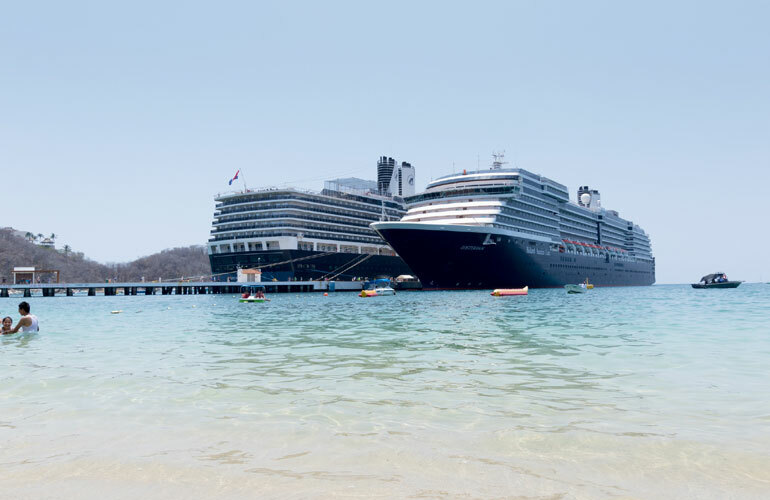 Oosterdam follows up with two similar Holiday sailings Dec. 20 and 27 and then departs on the same Mexican Riviera itinerary Jan. 3 and 10 and Feb. 4, 11 and 25. Ms Oosterdam is an 85,000 gross ton vessel which can carry 1,964 guests. Ms Westerdam is an identical ship in the same class.